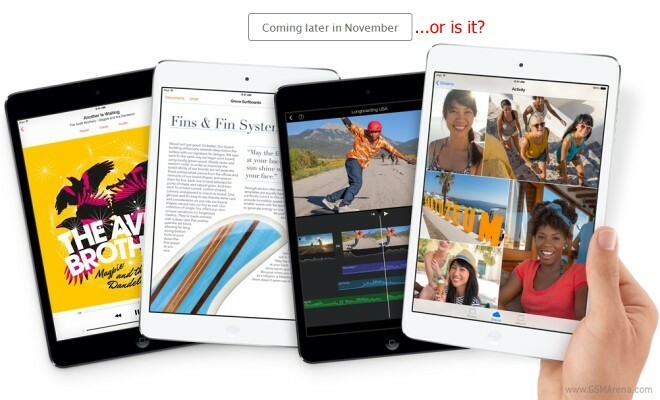 After the first rumors of a Retina-packing iPad mini surfaced earlier this year, several sources close to Apple’s supply chain indicated that panel shortages might limit availability. Even after yesterday’s launch during which Apple indicated that both the new iPad mini and the iPad Air will be available in a wide range of markets next month, hints of “severely constrained” supply continue to linger. The news comes by way of Rhonda Alexander, director of Tablet and Monitor Research at IHS iSuppli, which is one of Apple’s primary panel suppliers. Alexander confirmed that large scale production of the mini Retina panels won’t be possible until after the holiday season. The new Retina panel for the mini has a resolution of 2048 x 1536 pixels, which results in an class-leading pixel density of 324ppi. This is by far the largest in the midsize tablet category, and should help Apple contend strongly against the likes of the Google Nexus 7, LG G Pad 8.3, and Samsung Galaxy Note 8.0. If you’re hoping to get your hands on the new iPad mini next month, be sure to jump in line early once preorders open up. The higher than expected $399 starting price point might turn a few people off, but the sharp display will probably be enough to keep the demand high.